Google’s revolutionary Big Data concepts MapReduce, BigTable, GFS has become the principle of Big Data Area, the dissertations relevant to these concepts are opened by Google, but the concepts’ implementation product not a open source. Base on these concepts, the Open Source Community developed a series of Big Data products, which the core produce named Hadoop, it mainly implement the MapReduce and GFS. 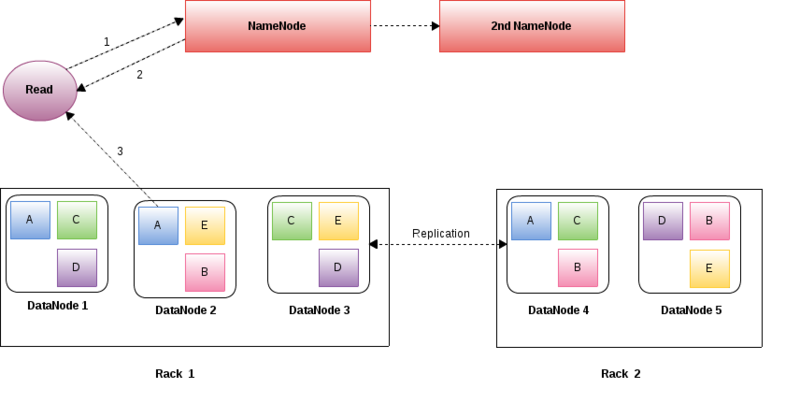 Another core product named HBase, which mainly implement the BigTable. Aslo there are some additional products like Hive which is a data warehouse infrastructure for data summarization and querying, Spark which is mainly a fast conputing layer for Hadoop data. 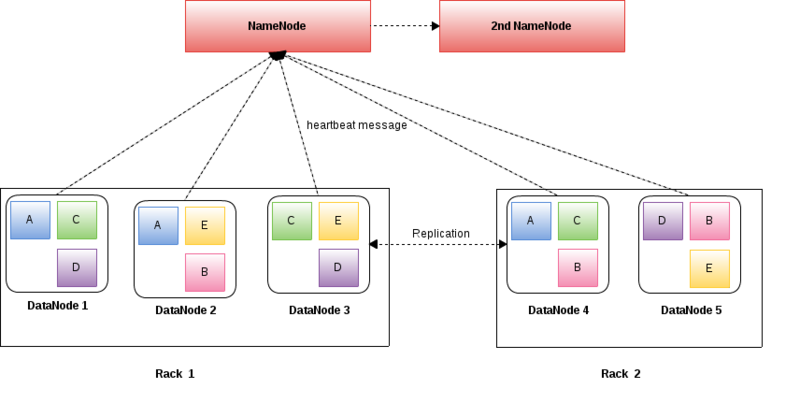 In the first part of this section, we will try to explain What is MapReduce via some overall Examples. Sum of squares means calculate the sum of integers’ squares. For example, suppose there are integers: 1, 2, 3, 4, Sum of squares means 1^2 + 2^2 + 3^2 + 4^2. Reduce task - sum the integers’ squares up. 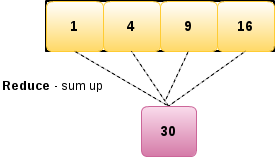 So Map here essentially is the function square which processes each record, what the square of 1, 2, 3 and 4 leads to the corresponding output 1, 4, 9, 16. Also these record be processed sequentially and independently. NOTE: processes each record sequentially and independently is the key of Map. So Reduce here is the function plus which applies plus to a group of records, what the sum of 1, 4, 9, 16 leads to result 30. The records be processed may not be all the records, it may be a subset of all the records, it in a group and process in batches. NOTE: processes set of all records in batches is the key of Reduce. Wordcount means produce a count list for every word that appears in a data set. The data set may very large, like all of the text in Wikipedia, and you’re asked to produce a count list for every word that appears in that data set. For example, the work java may appears in many of Wikipedia’s article, how many times does it appear in all Wikipedia’s articles, you need produce a call for that. Parallelly process a large number of individual records with multile Map Tasks is the key in Map, in this particular case, there are 2 Map Tasks. NOTE: In Reduce Task, each key be assigned to one Reduce, Parallelly processes and merges by partitioning key, One way of partitioning is called hash partitioning with simple hash algorithm SHA-1 or a message digest MD-5. Assume you have a Tuples (a, b) where a is a webpage and b is a webpage, and a has a link that points to b. Web-Link Graph means great set of Tuples(a1, b1), (a2,b2)…(source,target) together, compose of a Graph. Reverse Web-Link Graph means list all source links for each target page.